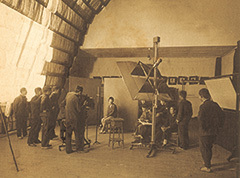 Tokyo Polytechnic University is the most traditional and longest-established photographic institution in our country since 1923. 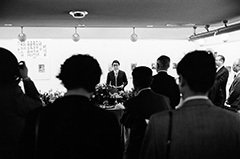 Among other university establishments, Shadai Gallery was opened in 1975 as Japan’s pioneer facility and existence that exhibits, collects and researches both domestic and international photographs. When talking about Shadai Gallery, it is inseparable with one of the leading Japanese photographers, Eikoh Hosoe, who was the founding director of the gallery. Hosoe, born in 1933 is known for his series such as “Ordeal by Roses” (1963) modeled by Japanese author Yukio Mishima, and “Kamaitachi” (1969) which documented Japanese choreographer Tatstumi Hijikata. Since young, hosoe’s style of shooting numerous human bodies as his portrait gave sensations throughout the world. In 1975, Hosoe, who was already a striking photographer at the time, acceded as a professor at Tokyo Polytechnic University. As one of the conditions as becoming part of photographic education, he suggested the installation of a gallery for the spread of the art. 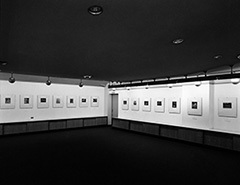 Back in 1975, photographs were already exhibited and archived like any other art genre, such as paintings and sculptures at museums across the United States and Europe. In Japan, however, such culture was not yet accustomed and there were no such public institutions that followed the manner. Hosoe made a point that the most effective way to express “ the wonderfulness of photography” and “the love and respect to photography,” is to make a gallery within an academic facility. 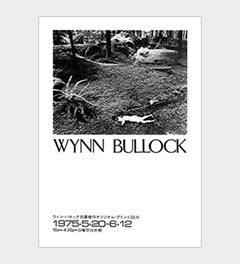 With this strong will, Shadai Gallery welcomed its opening with the exhibition of “ Wynn Bullock” on May 20th, 1975. Wynn Bullock (1902-1975), a famous American photographer participated in “The Family of Man” held at the Museum of Modern Art in New York in 1955 with his “Let There Be Light” (1954) used as the leadoff piece. The exhibition was to celebrate the museum’s 25th anniversary and it toured around more than 38 countries worldwide, allowing nine million people view the show. His exhibition at Shadai Gallery was his first solo show in Japan, and it became a big focus. Since then, Shadai Gallery has organized numerous solo exhibits of well-known foreign photographers and historically signified domestic photographers. During the exhibitions, the gallery often invites the artists for special workshops and talk shows involving students as well as general visitors. When Shadai Gallery was opened, Tokyo Polytechnic University held its original name, Tokyo College of Photography (Tokyo Shashin Daigaku), which was called Sha-dai for short. Hence the name of the gallery came from this abbreviation but even after the school name changed to Tokyo Polytechnic University in 1977, the gallery name stuck to this day. Shadai Gallery archives more than ten thousand photographs and as for an institution affiliated with an educational establishment, this number should be renowned to the world. The gallery’s collection includes works from worldly known photographers such as William Henry Fox Talbot, Nadar, and Edward Weston as well as Ihei Kimura, Shomei Tomatsu and Ikko Narahara. Also among them, over twelve hundred important works of Ken Domon and a nine hundred early works of Daido Moriyama should be noted as an important part of the collection. 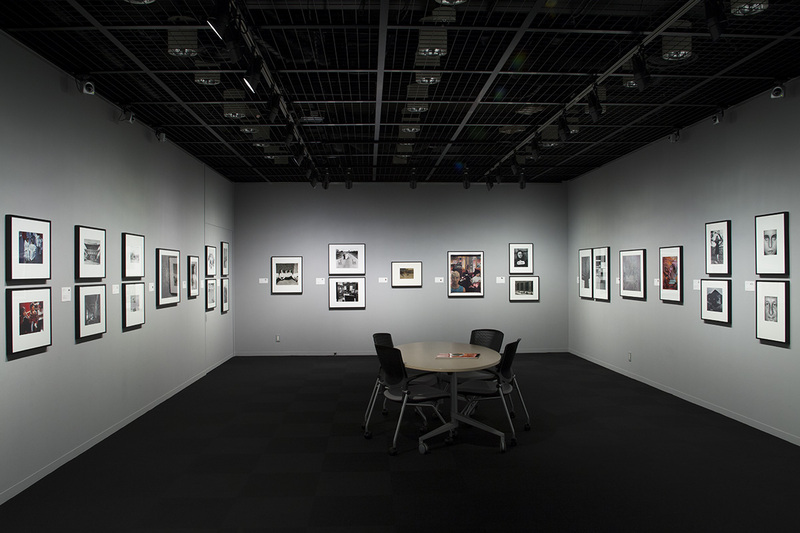 These collections are put to practical use for education and research daily, and are exhibited to the public for photography fans inside and outside of campus throughout the year. Tanuma Takeyoshi "Children, The World of Innocence"
Copyright© 2016 Shadai Gallery All Rights Reserved.